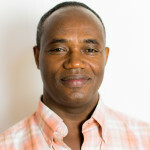 Tufa Dinku has 25 years of operational and research experience in the field of climate science and its applications. This includes twelve years of operational meteorology at the National Meteorology Agency of Ethiopia and 12 years of research and applications at the IRI. He received a BSc in physics from Addis Ababa University, a post-graduate diploma in meteorology from the Indian Institute of Tropical Meteorology, and MSc and PhD degrees in civil engineering/hydrometeorology from the University of Connecticut in the United States. Dr. Dinku leads IRI's ENACTS (Enhancing National Climate Services) program, which is a unique multi-faceted initiative designed to bring climate knowledge into national decision-making. Dr Dinku's main research interest is improving availability and quality of climate data and derived information products. His current research includes identifying global climate data sets (satellite proxies, gridded station data, climate mode reanalysis), assessing their qualities, combining data from different sources, and adapting these products for specific applications. He has several publications evaluating the quality of different data sources. However, his research work is not limited to climate science. He also has publications and other documents with the main focus on assessing and improving climate services and the use of climate information in development practices. The main focus Dr Dinku has been leading the implementation of ENACTS (Enhancing National Climate Services) in National Meteorological Services and Regional Climate Centers across Africa. ENACTS enables National Meteorological Services to create reliable climate data and information products that are suitable for national and local-level decision-making.